For more than 50 years 5 Star Bail Bonds has been helping people in San Rafael, Marin County and throughout the great state of California when they need assistance posting bail. Our team of dedicated agents stops at nothing to ensure that every one of our clients feels safe and confident with they use our services. We wanted to offer a few pieces of feedback from past clients, to help those who may need our services in the future understand why we've been a top choice for San Rafael bail bonds for more than five decades. "Thanks for the quick service! Glen and Christina were extremely helpful! They even gave my friend a ride home which saved me from going out in the middle of the night!" "Outstanding customer service! Family owned and operated, this company is compassionate, responsive and effective! When a friend of ours found themselves in a difficult situation, these agents responded immediately and walked them through the process of what to expect and why, etc. Highly recommend each of these agents for any of your bail needs." "The professionalism and willingness to help someone in need is beyond normal. No matter the time or day! Having English as your second language can be challenging to express oneself and understand fully the terminology, but thanks to 5 Star Bail Bonds, se habla español! That was a huge plus. I highly recommend 5 Star Bail Bonds!" "Fast, efficient, super polite staff, over 35 years of experience, and as local as you can get!!! Would else could you ask for!?!? Definitely will use them every time my family and friends are in need!" 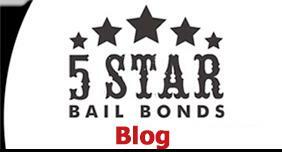 "5 Star Bail Bonds gets 5 stars from me! They are reliable, convenient, professional, accommodating with expedited service!!!" "Highly recommend, they are there for you in every way possible. From my first call being able to get the process started over phone and setting up a payment plan I could afford made it so convenient for me." These are just a few words from a small sample of the hundreds of people we've served over the years. If you ever need to post bail in Marin County or the neighboring areas, don't hesitate to contact us day or night. Give us a call at (415) 479-4800 to request more information about bail services or to request a bail bond in San Rafael.